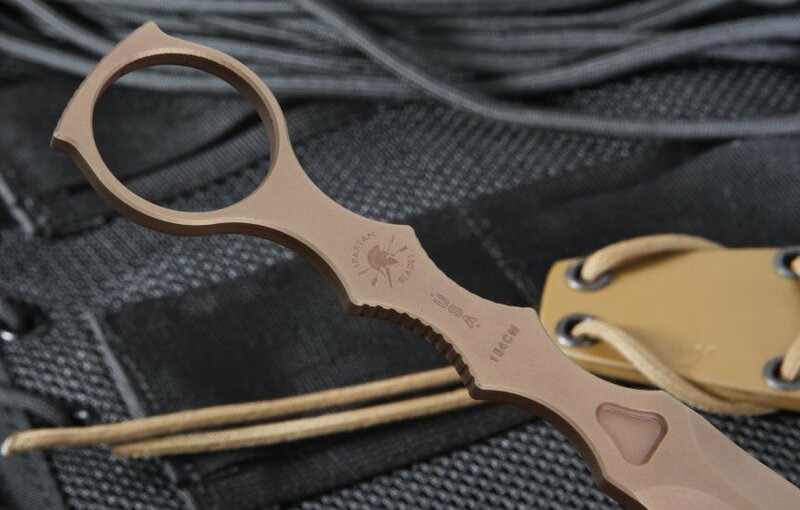 The Spartan Blades CQB Tool is an all-in-one close quarter battle tool proven to be instrumental for combat situations. Designed by Greg Thompson, who worked and trained with the U.S. Special Operations Forces and even designed their new combative's program, the Spartan CQB is made for the U.S. Army's Special Forces training, making it a thoroughly thought out design for close quarter battle. With an overall length of almost 7 inches and slim profile, it's a great transitional tool for combatants that are grappling for control over their primary weapon and the situation, and need the supplemental tool in the field. 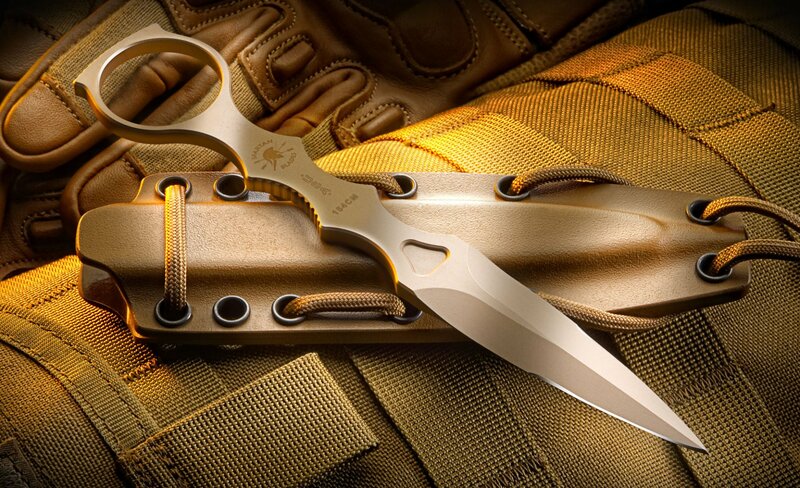 The CQB blade is made from 154CM stainless steel and coated with Diamond Like Black Coating (DLC), called Spartacoat, and measures 2.8 inches long, with a Rockwell Hardness of 57-59. The blade is half sharpened to the first 1.5 inches off the top and has a thickness of 0.18 inches. 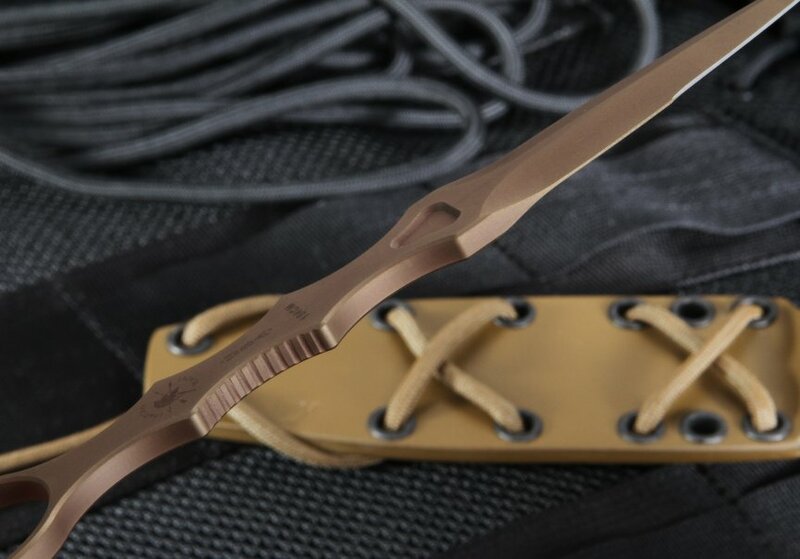 The blade is in the style of a stable ground dagger, giving it the advantage for tactical use in a battle. 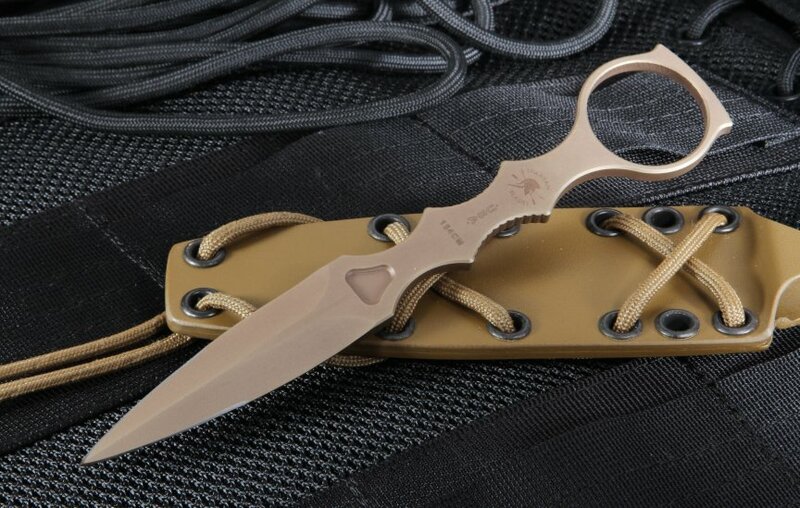 The handle is ergonomically shaped for easy and tight gripping, even when deploying the knife from its sheath quickly. The top of the handle features a large ring for fast removal. 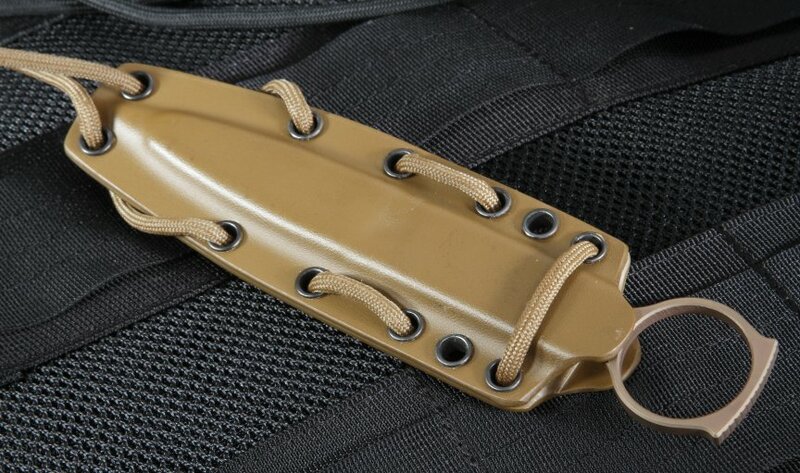 The complete tool comes with a black Kydex sheath, with the handle ring complimenting the sheath for added ease in removal. By ordering your Spartan CQB tool through KnifeArt, you have ensured a quality, authentic knife from Spartan Blades. We will also ship your Spartan CQB for free on the same day you order, with our satisfaction guaranteed policy. 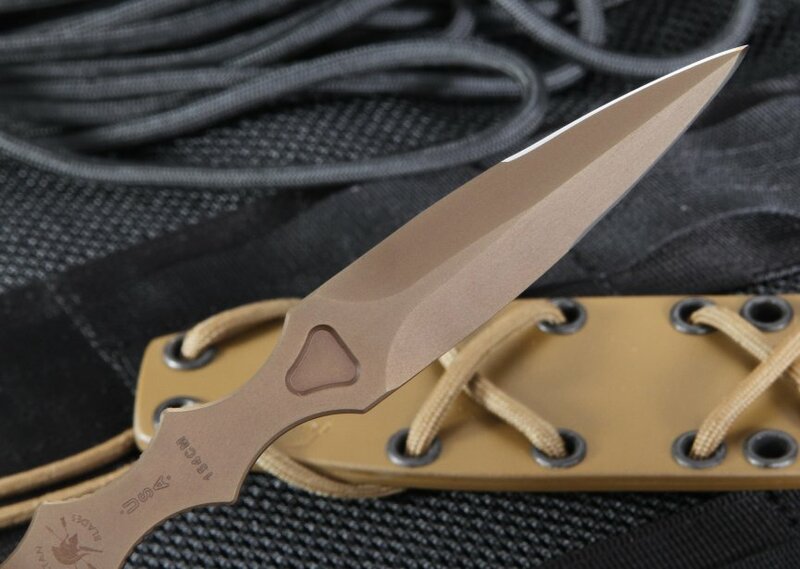 BLADE MATERIAL: Stainless 154CM Steel -SpartaCoat, DLC Diamond Like Coating (Flat Dark Earth) - the first 1.5" are sharpened.